The beaver dives far less than previously anticipated. This is one of the findings in Patricia Graf’s doctoral dissertation researching beaver behavior. A few years ago scientists used radio labelling to track animal behavior. Back then, scientists had to wait patiently in the woods with antennas to follow the animals' movements. Today we have much better methods to study wild animals. Now scientists at the University of Southeast Norway have researched the beaver's behavior both on land and in water. It turns out that the little animal with the big tail dives far less than researchers previously thought. The beaver spends less than three percent of their time diving, and they stay under water for about 30 seconds. They usually dive in fairly shallow water. "This was a very surprising find", says fellow Patricia M. Graf at the University of Southeast Norway. 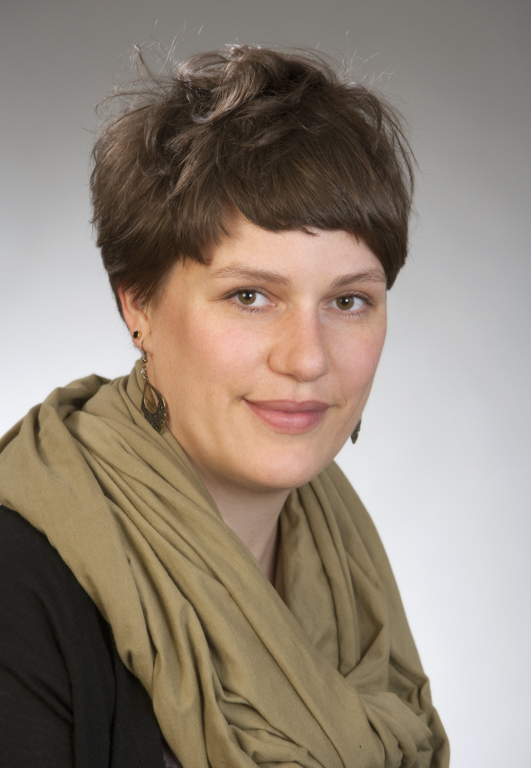 Graf (pictured) has in her doctorate studies investigated the activity, behavior and movement patterns of 33 free-living Eurasian beavers in Southeast Norway, of which 19 were male beavers and 14 female. She used something called tri-axial accelerometers and GPS systems, which are part of the new method for studying wild animals. “We are the first ones to use the accelerometer data to study beaver behavior, and using this method, we have been able to identify seven different behaviors with beaver; standing, walking, swimming, feeding, grooming, diving and sleep”, says Graf. The capture and marking can be stressful for beavers, and thus, changes in activity and movement patterns was examined one week after marking. The accelerometers are put on the beaver back and Graf and her colleagues could not find any changes in movement patterns after labeling. Findings from this doctoral thesis suggests that beaver movement patterns are related to the size of the territory and the age of the beaver. For the beaver it’s increasingly a trade-off between patrolling their territories and eating. Beavers in larger territories patrol more and graze closer to the riverbank, while beavers guarding smaller territories go further from the riverbank to graze. “It’s probably because the beavers which have smaller areas to guard have exhausted the resources by the riverside and have less to eat, therefore they must go farther away from the river bank to look for food”, says Graf. Behavioral patterns also changed with age: Older beavers spent more time on land and patrol more than the younger ones. They also have a greater need to dominate and to look after its own territory. But the most startling findings was related to diving. “Beavers dive only 2.8% of their active time and most dives were short in shallow water. Most dives took them less than 30 seconds and usually only until about a meter deep”, says Graf. The longest dives Graf found lasted almost seven minutes. Previous research has shown that the beaver is one of very few monogamous mammals which live with their partner their whole life. It puts down a great effort and resources into finding their territory and building a home. Therefore, it is very important for the beaver to mark their territory by kicking up earth mounds around their “property”. Professor Frank Rosell is one of the top beaver scientists in Europe and defended a PhD about the beaver in 2002. He has been Graf's coach and feel that Graf's research has made great progress within beaver research. 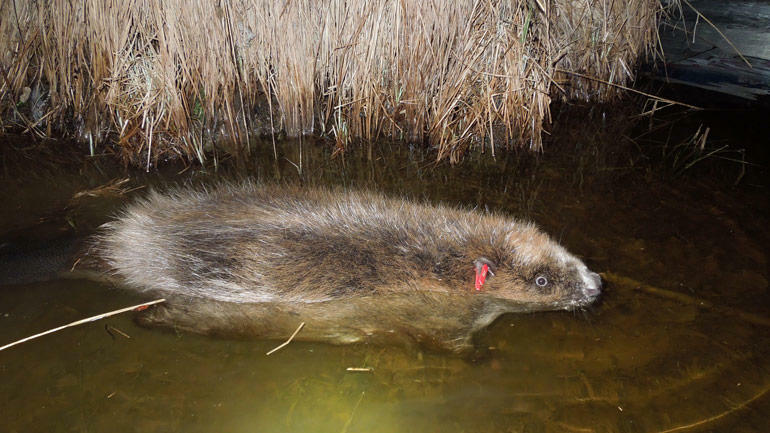 “This thesis emphasizes the importance of accelerometers and GPS systems to map the beaver at night, evaluates labeling method and provide us with detailed insight into the beaver movement patterns and diving performance”, said Professor Rosell. “It also reinforces the research field by introducing a new tool for the analysis of behavioral data”, says Professor Frank Rosell.